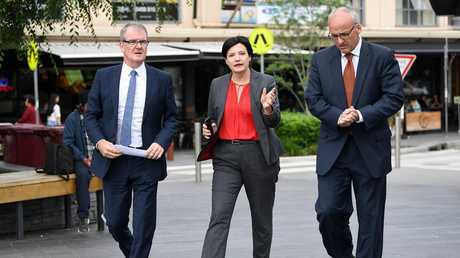 THE NSW Labor leader, his deputy and the wannabe transport minister started yesterday morning united - standing side-by-side to announce Labor's infrastructure pitch for the upcoming state election. 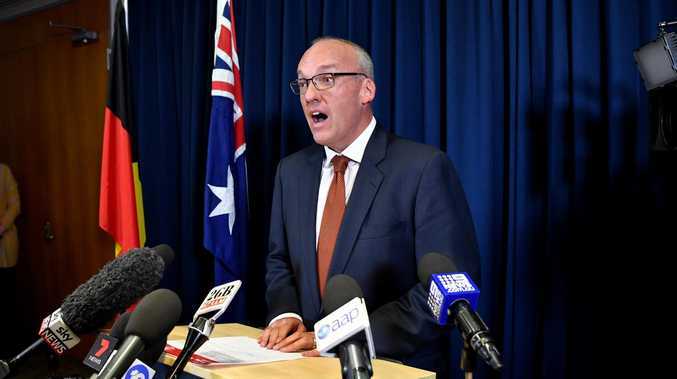 Within hours Luke Foley was desperately clinging to his job, Michael Daley was the seemingly obvious choice to be his successor and the other supposed rival for the top gig Jodi McKay had gone to ground. The sensational statement by ABC journalist Ashleigh Raper lobbed into journalist's inboxes at 12.50pm. It took the press gallery - and Mr Foley's colleagues - by utter surprise. And it would be the catalyst for one of the most extraordinary days in the history of the NSW Labor Party. When harassment allegation was first raised against Foley in Parliament by Liberal Minister David Elliot on October 18, Mr Foley's detractors were agitating to roll him - but they knew they needed more detail. It would set a dangerous precedent to cull a party leader without an official complaint of misconduct. Yesterday's ABC statement changed all that. A senior Labor MP - who had been a fierce supporter of Mr Foley until Ms Raper broke her silence - said it was a powerful declaration­. "That's it. I wasn't f...... there (that night) but this new stuff - that's it," they said. "No one (supports him now), it's over. Soon as you read the statement it's over." Before Mr Foley resigned Labor heavyweights were already lining up Mr Daley as the new leader with Penny Sharpe as his deputy. "A couple of idiots think Jodi McKay but it'll be Penny Sharpe. There will be minimal other change to shadow cabinet," one source told The Daily Telegraph. There was also agitation by two Western Sydney backbenchers for Chris Minns to take the shadow Treasurer role from Ryan Park. "People said you can go and get f....., why would we replace Ryan. They think he's got a lot more support than he actually does," a Labor source said. Maroubra MP Mr Daley, 53, has been touted as next Labor leader for a while but he was not agitating for the role - openly at least. However, he told people he was more than ready if the opportunity arose. His name was first raised in May after a shocking blunder by Mr Foley when he commented about "white flight" in suburban Sydney due to migration populations, comments that caused his ALP colleagues to question both his judgment. The hours leading up to Mr Foley's statement yesterday were chaotic within the party, with insiders saying powerbrokers from Labor HQ were dispatched to counsel him to keep quit. Former NSW Labor Party secretary Sam Dastyari said in the five hours between the ABC statement and Mr Foley's resignation his phone wouldn't stop ringing. "I counted (the phone calls). 30. Over a dozen were from State Members of parliament. The rest were journalists, Labor Party operatives and former luminaries. Exactly zero thought he could survive politically," he writes in today's The Daily Telegrpah. The pressure on Mr Foley increased in the early afternoon when Blue Mountains MP Trish Doyle called for him to quit and threatened a spill motion. "In my view, Mr Foley's position is untenable and he must resign today. Bad behaviour is bad behaviour, whoever does it," she said. Mr Foley finally emerged into the spotlight at 5.30pm and made a statement as he resigned as Labor leader but would stay on as local member for Auburn and launch legal proceedings over the ABC statement. He wouldn't take questions from the massive press pack. An insider said Mr Foley rang senior Labor MPs before his announcement and was "matter of fact, professional about it". "There wasn't emotion, wasn't anything. He said I'll be making the following statement later today and that's it." And his refusal to quit Parliament enraged senior Labor MPs. "I'm so bloody angry. The statement he gave was wild. The next question is does he get suspended from the party (by Labor head office) at Michael's request?" a Labor source said. Mr Foley is likely to have to face all his colleagues tomorrow afternoon when caucus is convened. It's expected Mr Daley will be elected. "I don't think it's going to down well in the caucus, the fact that he hasn't resigned. There is real anger at him for now resigning completely, he's going to be a distraction," a source said. Labor's sport and veterans affairs spokeswoman Lynda Voltz has said she was "shocked" and "appalled" at the allegations against Mr Foley . Adding her voice to a growing number of female state ALP politicians to express their dismay last night about his alleged actions, Ms Voltz said if ALP women "had known" the detail of the allegations "we would not have had him as leader". Labor MP Jenny Aitchison said she was "very deeply saddened" by the situation. "(Ms Raper) is incredibly brave," she said. NSW Labor MP says there needs to be a "significant cultural shift" in society so women can feel safe when they make a complaint. 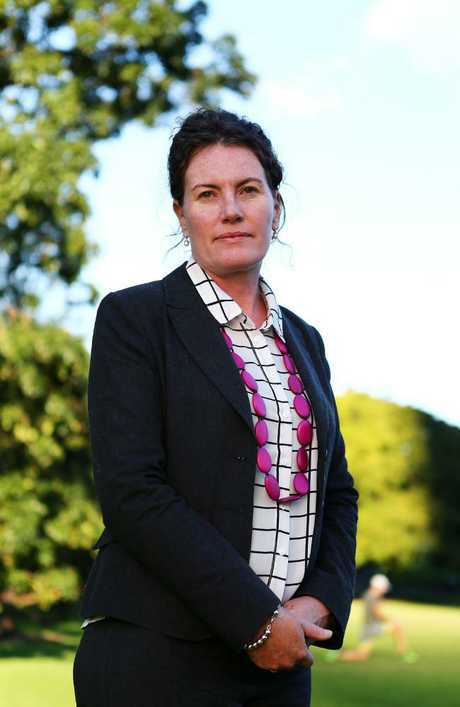 Blue Mountains MP Trish Doyle made the comments yesterday in reference to the leadership of the NSW Labor Party and harassment ­allegations vehemently denied by former opposition leader Luke Foley. "Politics, like the entertainment industry, is lagging far behind the rest of society in its handling of workplace sexual harassment and bullying," she said. "We need a significant cultural shift in society so that women can feel safe and so that when they make a complaint it is taken seriously. "The allegations against Luke Foley are serious and they are unacceptable. "Bad behaviour is bad ­behaviour, whoever does it." 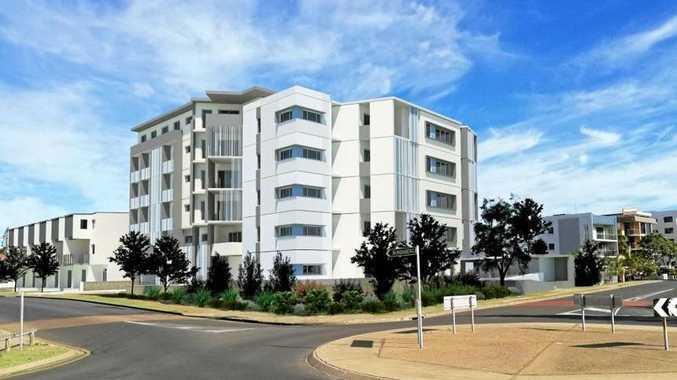 Ms Doyle said she was worried about the distress and ­anguish it had caused for the journalist involved. State Labor candidates Maryanne Stuart, Teressa Farhart and Jen Armstrong - the three women who stood ­behind Mr Foley last month as he fiercely denied the allegations at a 10-minute press conference - had nothing to say when contacted by The Daily Telegraph yesterday. Former Labor leader Luke Foley has been stripped of his status as a White Ribbon ambassador. 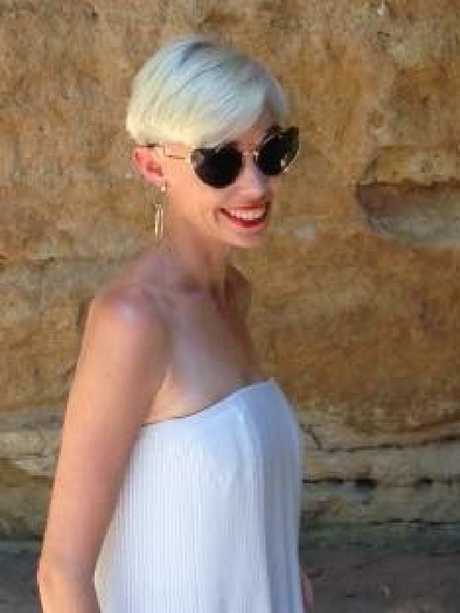 White Ribbon Australia issued a statement acknowledging Ashleigh Raper's "courage in making a public statement about an incident that women should never experience". "White Ribbon has removed Mr Foley from the White Ribbon Ambassador program, effective immediately. All White Ribbon Ambassadors must … abide at all times to the tenets of the Ambassador program. "White Ribbon calls for this matter to be discussed respectfully," the statement said. Mr Foley has vehemently denied the allegations. Jan 15, 2015: Ten days after becoming Opposition Leader, Luke Foley admits he did not tell Labor MPs about two drink-driving convictions before the party leadership ballot. "I never pretended to be a perfect person but I think it's important I'm honest and upfront with people right from the start of my leadership. I don't go to the bar, I don't get on the piss, I have learned from my mistakes. I do not mix work and alcohol." Nov 2016: ABC journalist Ashleigh Raper and Foley are among attendees a Christmas party at Parliament House that moves to Martin Place Bar. Feb 2018: Raper asks her bosses to be reassigned from parliament to general reporting. May 26, 2018: The Australian reports on "a rumour concerning Mr Foley and his alleged behaviour towards an ABC journalist" at the Martin Place Bar after the Christmas party. Foley and the ABC reportedly decline to comment. Oct 18, 2018: Corrections Minister David Elliott attacks Foley in parliament, saying: "I'm not a double drink driver. I haven't had a little bit too much to drink at a party and harassed an ABC journalist." Oct 18, 2018: Foley issues a denial: "Mr Elliott made allegations under parliamentary privilege that were he to repeat outside the parliament, Mr Foley will be forced to take the appropriate action." Oct 22, 2018: Foley challenges Elliott to "come out of the coward's castle" of parliament and repeat the allegation so he can sue. 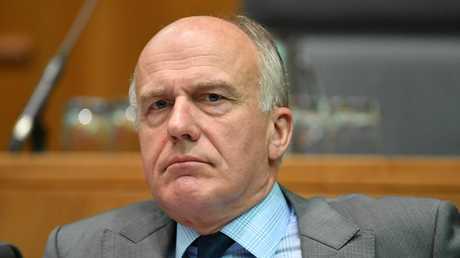 Oct 23, 2018: Under questioning by Senator Eric Abetz, ABC boss David Anderson tells a Senate committee the broadcaster will investigate allegations about its staffer and Foley. "We do take it seriously and we will investigate," he says. Oct 24, 2018: Roads Minister Melinda Pavey calls on Foley to stand aside while he is investigated. In response, Foley explodes in parliament and threatens to dish dirt on four government members, pointing at them one by one in the chamber. " Bring it on!" he says. Oct 25, 2018: Abetz lodges dozens of questions with Communications Minister Mitch Fifield about the Foley allegations incident, with a deadline of 30 days to get the answers back. Oct 30, 2018: Under intense questioning at a press conference, Foley tells reporters he's under no obligation to prove his "innocence". Nov 8, 2018: At a morning news conference, Foley makes a policy announcement. Nov 8: Just before 1pm, the ABC publishes a personal statement by Raper making allegations against Foley. Nov 8: At 5.30pm, Foley resigns as Labor leader, denies the claims and says he will take legal action.